We would like to invite you today to watch the short production of our work entitled "A windy day in Plakias". The title town is a small town located in the central part of the southern coast of Crete. The proximity of many attractions may encourage you to choose this place as a base for exploring this region of the island. One of the longest beaches to be found in this part of Crete is a great asset of Plakias. 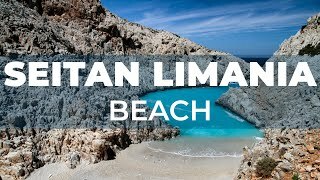 Over the past few years, Seitan Limania has become a beach that has joined the top spots of the most recognizable places in Crete. In the high season, a lot of people come here, which is not discouraged by a wild walking trail leading to the beach or a winding, steep road leading to the parking lot.